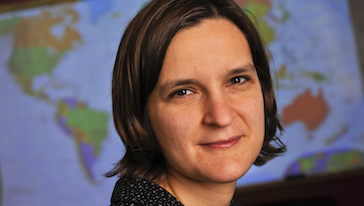 Esther Duflo is the Abdul Latif Jameel Professor of Poverty Alleviation and Development Economics in the Department of Economics at the Massachusetts Institute of Technology and a founder and director of the Jameel Poverty Action Lab (J-PAL). Her research focuses on microeconomic issues in developing countries, including household behavior, education, access to finance, health and policy evaluation. Duflo is the co-author of the bestseller “Poor Economics: A Radical Rethinking of the Way to Fight Global Poverty” book for which she received the Financial Times and Goldman Sachs Business Book of the Year Award (with Abhijit Banerjee). Duflo is a member of the President Barack Obama’s Global Development Council. She serves as the founding editor of the American Economic Journal: Applied Economics.